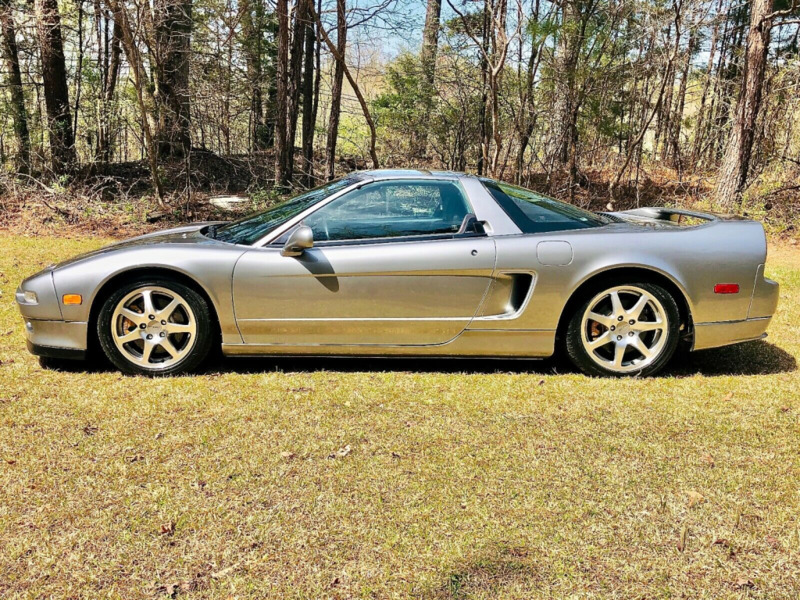 Hello everyone and thank you for taking the time to view this listing. 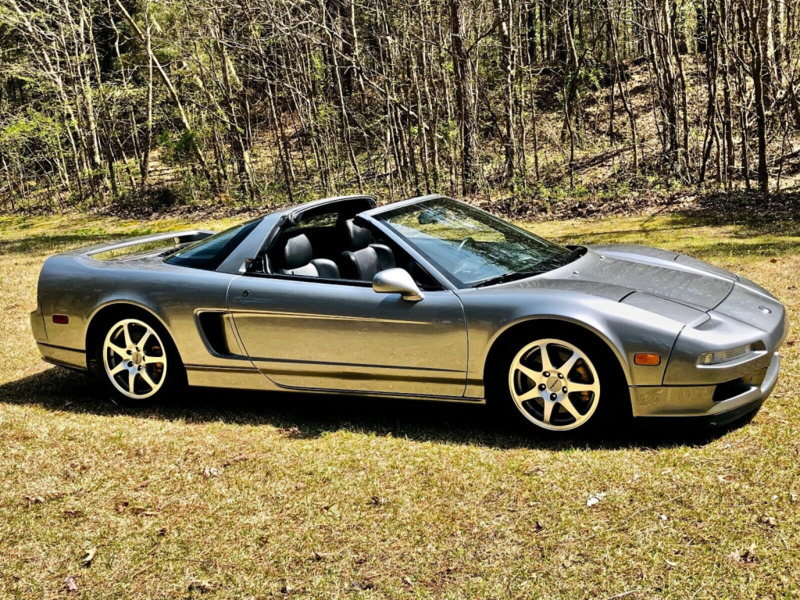 This 1997 NSX is incredible and has been pampered for the past few years that we've owned the car. 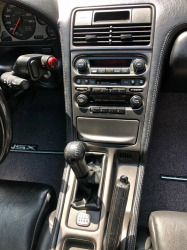 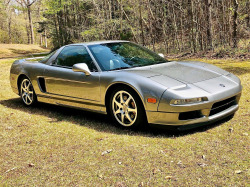 We are the owners of Steering Services, LLC specializing in NSX steering rack repair/rebuild service that we've been offering since 2011, so naturally, we have NSX's to represent us and the services that we offer. 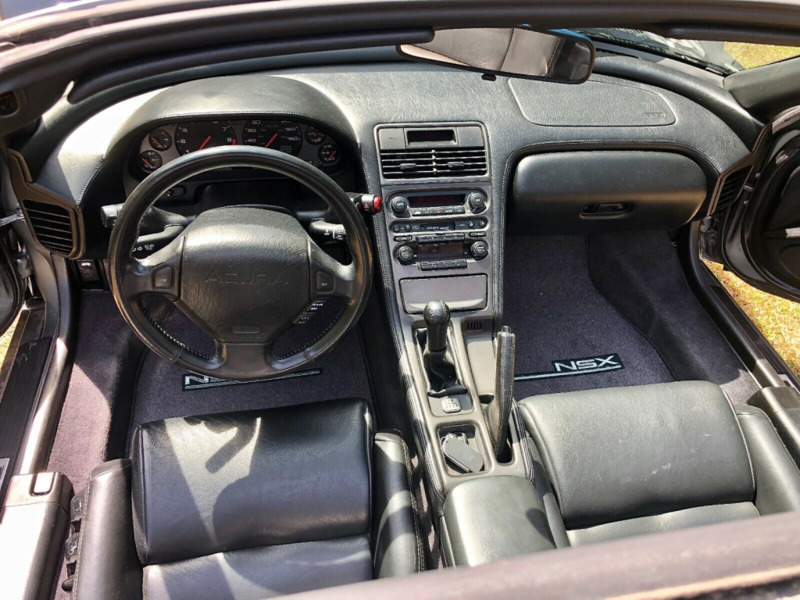 We wanted this NSX to be the best it could possibly be, so we made sure that every wearable that needed to be addressed, was addressed in the best possible manner.......even down to the smallest nuance. 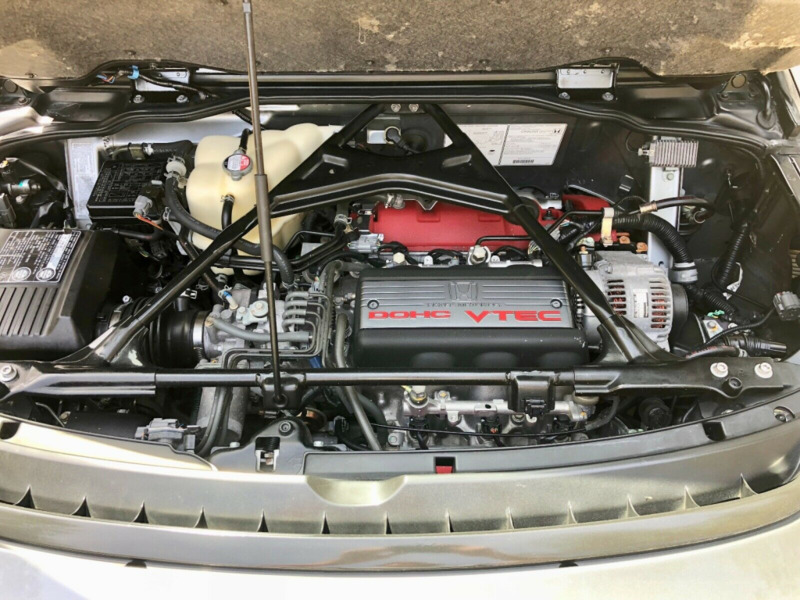 With that said, I'll list all of the things that were rebuilt or replaced to the best of my ability below (I'm sure I'll leave something out unintentionally). 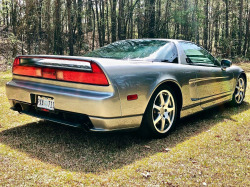 We've always considered the NSX community as family and we do our very best to attend every NSX event that our time permits each year. 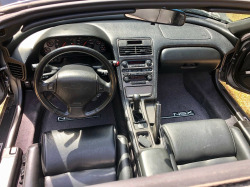 We always attend WestFest and NSXPO every year. 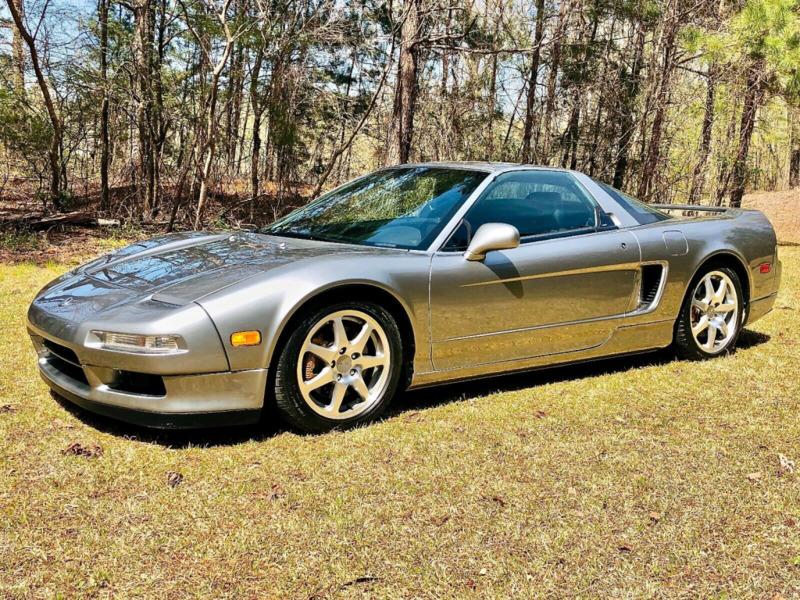 Naturally, our name and reputation within the NSX community means a lot to us, so we wouldn't offer anything other than our best to the next owner of this wonderful car. 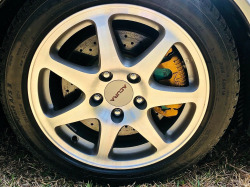 I'm sure you noticed that this car wasn't listed with a clean title at the top of the listing. 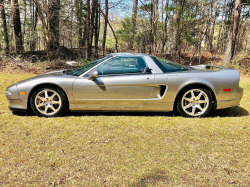 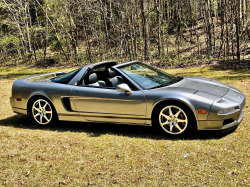 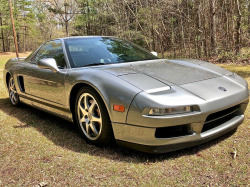 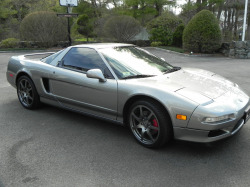 This NSX does in fact have a clean Mississippi title, but when we purchased it, it had a rebuildable salvage title. 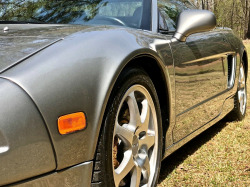 In Mississippi, when you purchase a damaged vehicle with a "rebuildable" title, in some cases, it could qualify for a clean title once it is repaired and inspected by the State. 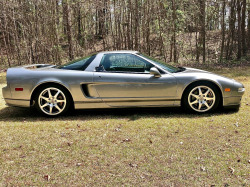 This NSX did qualify, so we had it inspected after the repair at the DMV by a Mississippi highway patrol officer. 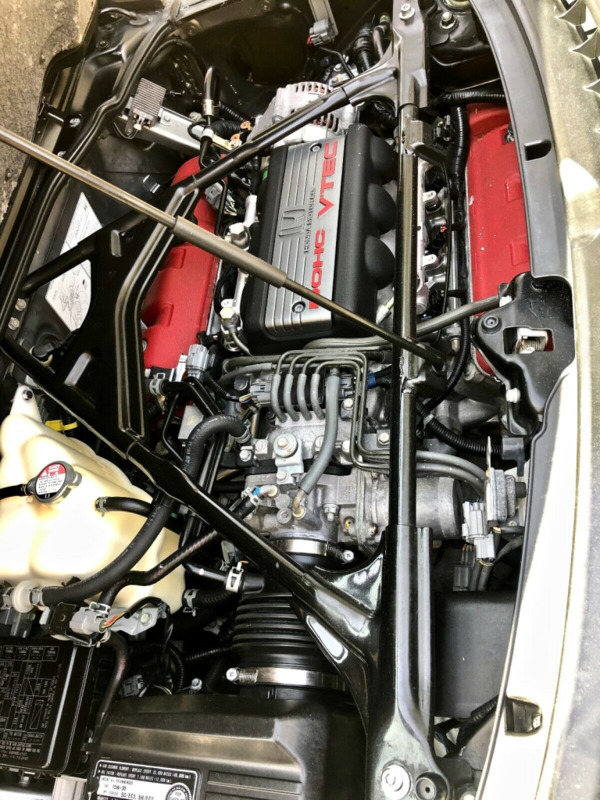 It passed all of the inspection process without a hiccup and was issued a clean Mississippi. Here is a little background on the car: We purchased this NSX from IAAI for our steering rack repair company in 2016. 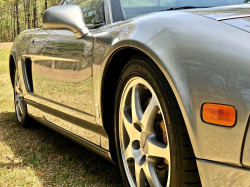 Our repair service applies to the NSX only and with such a specialized service, of course, we have to have an NSX (or several) of our own. 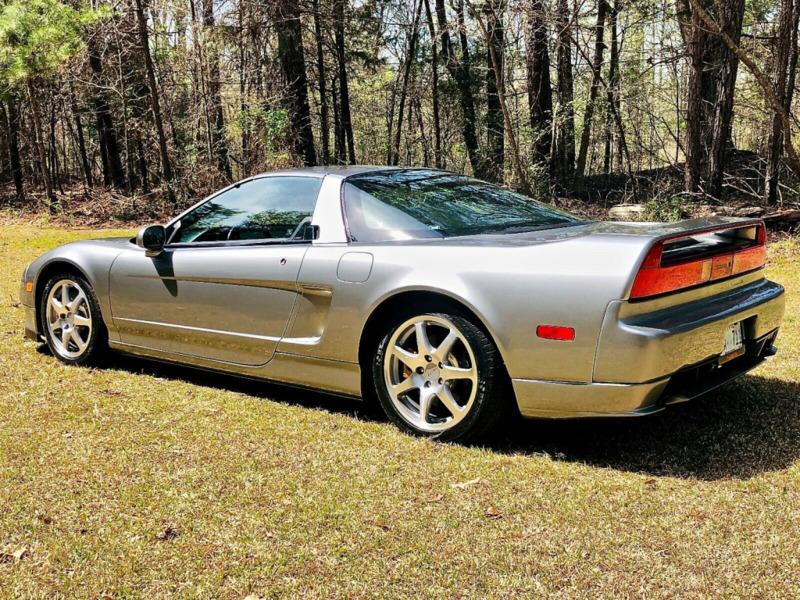 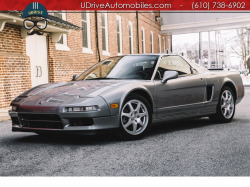 Well, we just sold our 1992 NSX and were looking for an NA2 to replace it with. 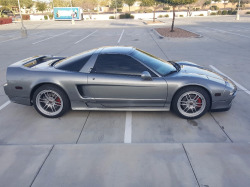 This NSX had rear damage, but no bags were deployed. 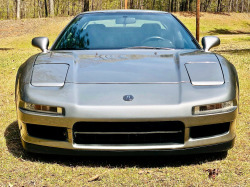 It previously had an 02+ front end upgrade, but the previous owner put the original pop up headlights back in, so it looked as if it had front end damage as well, but it actually did not. 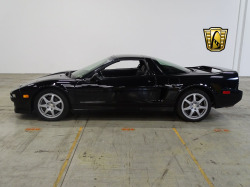 When we got this NSX home we were very pleased to see that it didn't have (what we would consider) extensive damage. 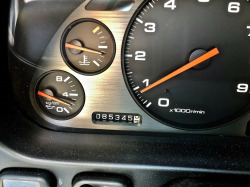 It ran without problems and shifted fine, so it was no trouble to drive around our shop if needed. 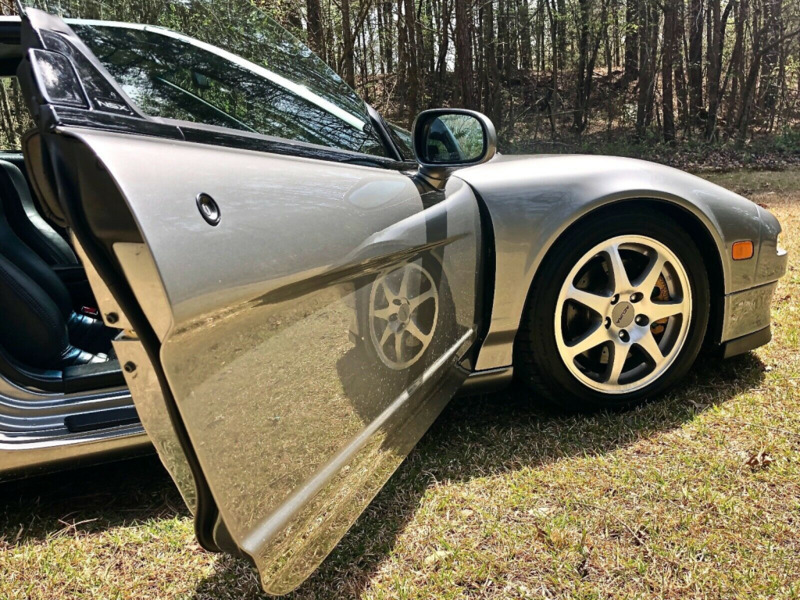 We replaced both quarter panels in the rear, the back bumper, the tail lights, and the tail light/bumper mounting panel that also serves as the back wall of the trunk. 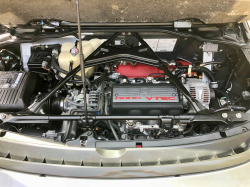 The engine bay wasn't damaged nor was anything inside the engine bay shifted or broken. 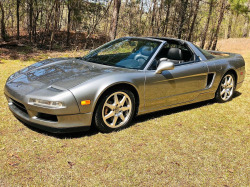 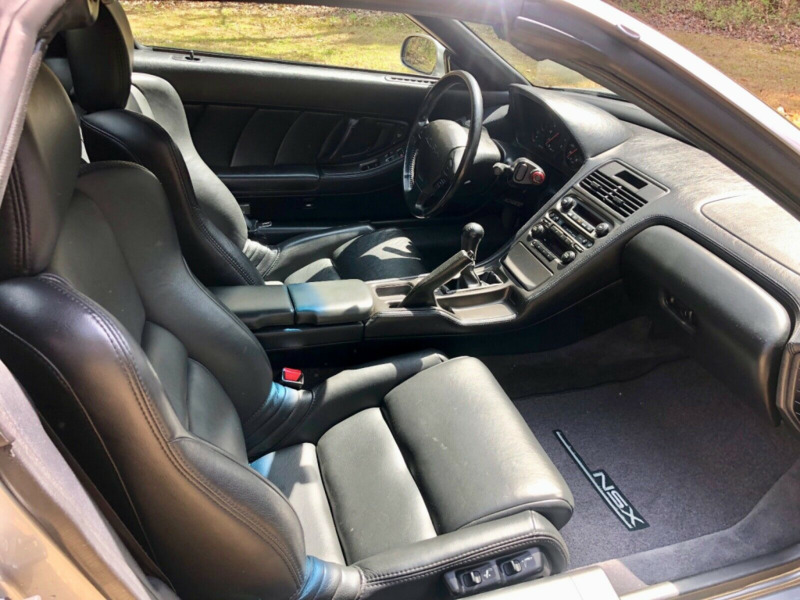 We previously knew of a 1998 Kaiser Silver NSX rear clip that had been sitting for awhile and we were able to purchase it all together and complete. We were able to get both Kaiser Silver quarter panels, rear bumper, rear mounting panel, etc, all undamaged and beautiful. 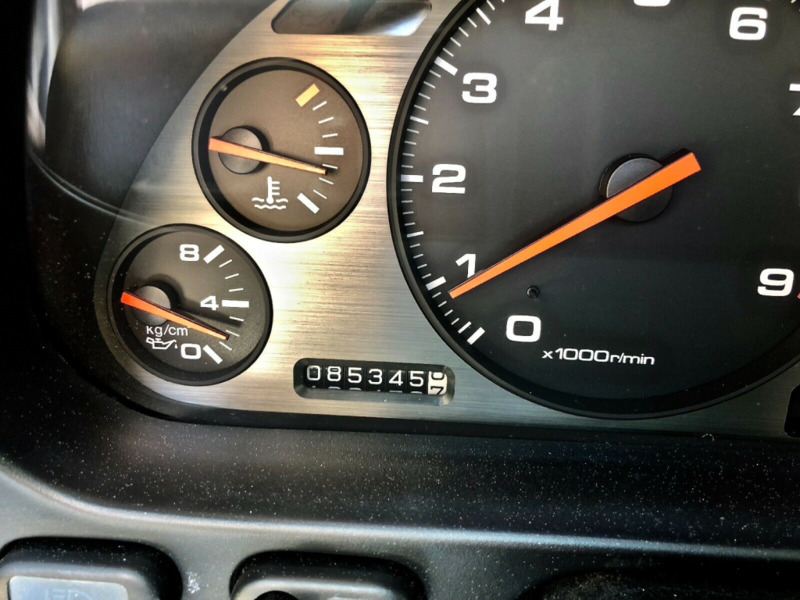 It couldn't have been any better. There are no signs of any damage anywhere on this NSX and it looks just as good underneath as it does on top. 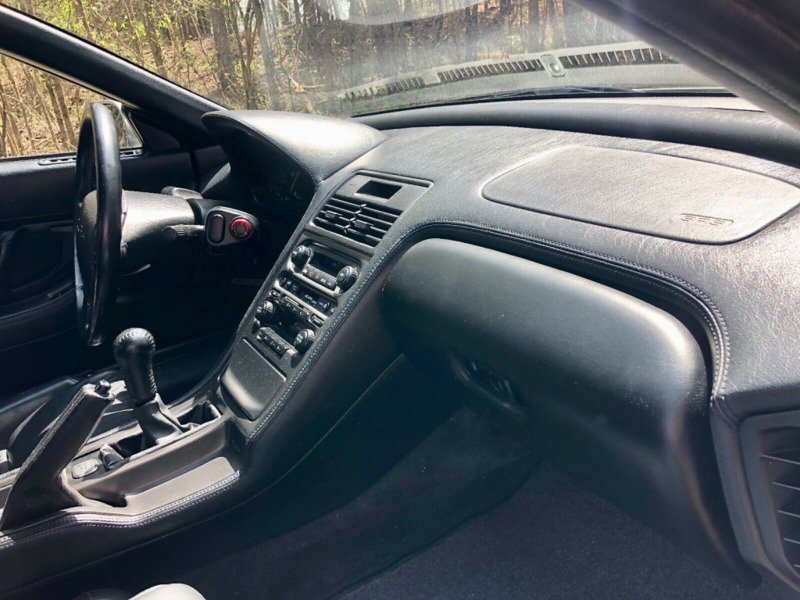 All of this made for a very easy repair that was so good that you cannot tell that a repair ever took place. 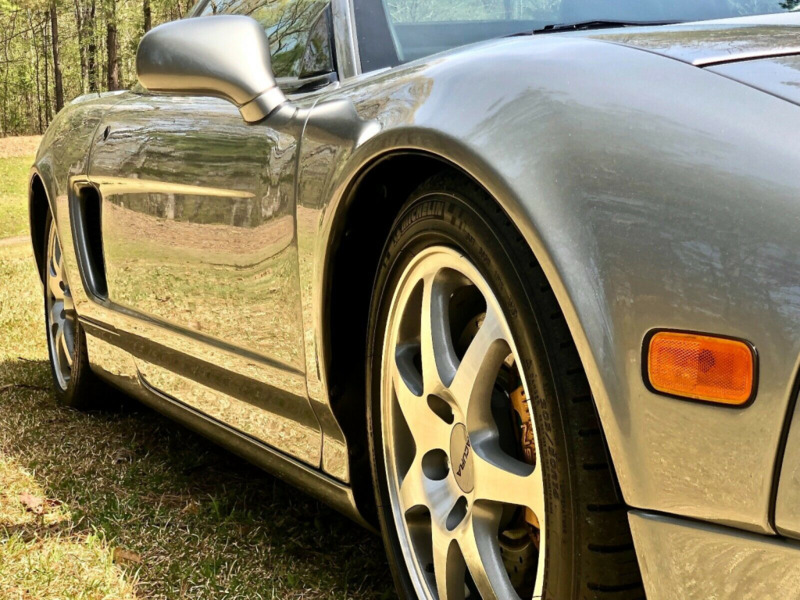 We decided to paint this NSX all over because we wanted it to be as amazing as it could possibly be, so we commissioned the best body shop around to do the repair work. No frame work was needed, so everything was pretty straight forward and easy. It was painted back kaiser silver all over just as it was from the factory, but we didn't repaint the door jambs or any of the inner panels because they were still excellent from the factory. 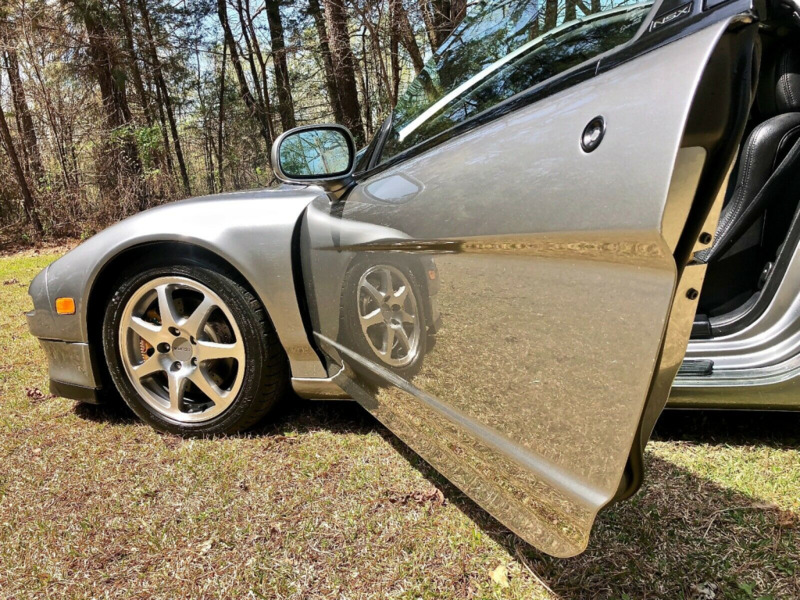 During the final detail phase, the paint was cut/water sanded/leveled then a ceramic coating was applied. This NSX is absolutely breathtaking now and looks as if it just rolled off the show room floor. 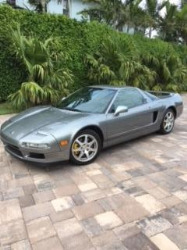 Please take your time to view the listing and all of the pictures below. 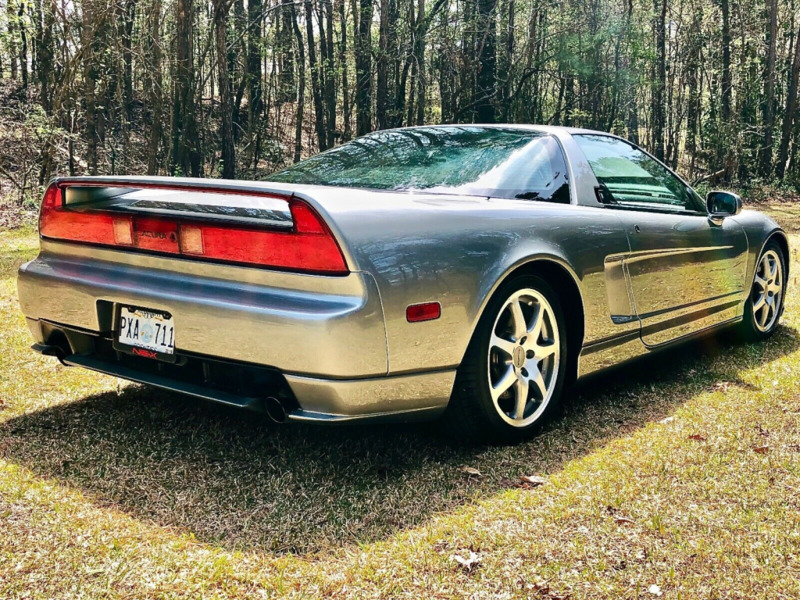 We have loved this car for about three years now and we even drove it all the way to Road America for NSXPO 2017. 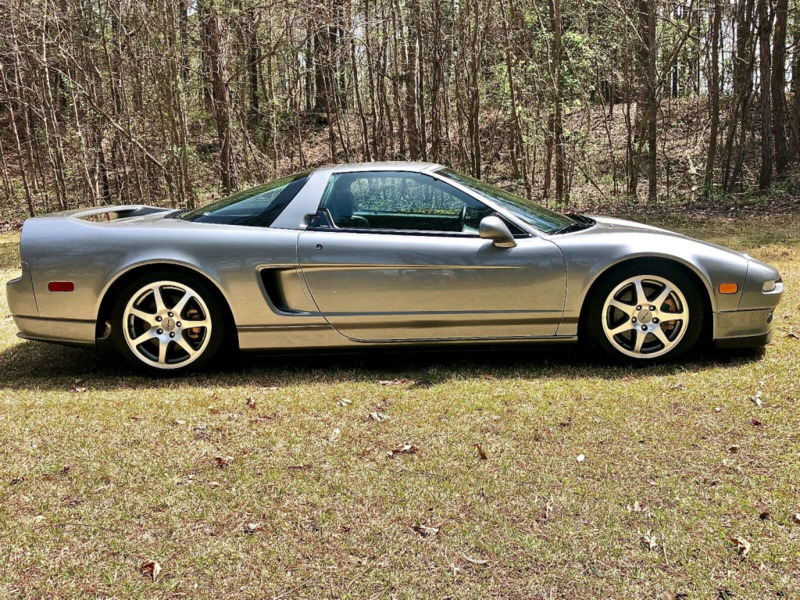 This NSX is sure to make the next owner very happy and it shouldn't need anything else addressed for a very long time. 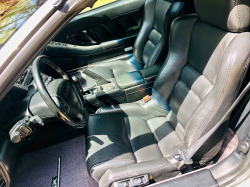 The buyer is responsible for the shipping after the full payment has been received. This Kaiser Silver NSX looks amazing in person and to see it, is to appreciate it. We invite you to see the car in person and will do our best to accommodate you at any convenient time. Thank you in advance.